I am happy to believe Sir John when he says that there was a cult of Aristotle in medieval eastern Chalkidiki. Aristotle was by far the most famous person from that part of the world and read obsessively in medieval universities. 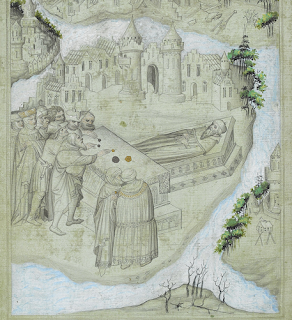 I also LOVE the illustration of the tomb in the manuscript. 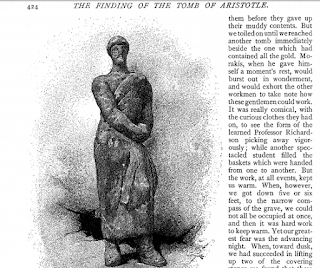 But Sismanidis is carefully not telling the world that Aristotle’s ‘actual’ tomb has been sensationally ‘discovered’ before. 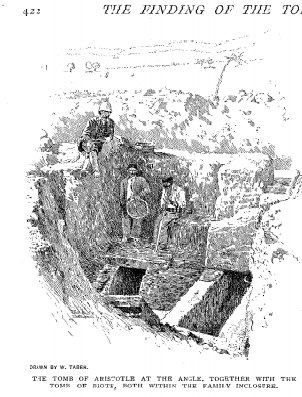 If you read the article published by famous American archaeologist Charles Waldstein in Century magazine in 1892, you will find that that 'Aristotle’s' marble tomb was excavated by the American School of Archaeology of Athens at Eretria in 1891. Waldstein, a colourful figure who deserves a whole blog to himself, claimed to have found styluses (although he didn’t go so far as to say that they were the ones used to write the Nicomachean Ethics), a portrait statue of the philosopher, and an inscription bearing Aristotle’s name. Waldstein’s ‘tomb of Aristotle’ is much nearer the place where the actual ancient sources said the philosopher died, in Chalcis, Euboea, in 322 BCE. Early Christians claimed he had drowned himself, after a last-minute religious conversion, in the wild tides of the Euripus, but other ancient writers say he died of his longstanding stomach complaint. I am delighted by the attention Aristotle is getting as I am finishing a book called Ten Ways Aristotle Can Change Your Life. 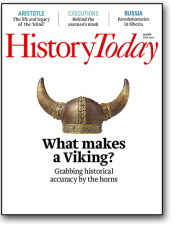 I wrote on his life and death in this month’s History Today. I would love to believe that anything new about the Magnificent Man from Stageira has been unearthed. But I am not impressed by any of the ‘evidence’ Sismanidis has ‘revealed’ so far. This is fascinating stuff for me and I look forward to your book. I spent many months researching what we know of Aristotle and his contemporaries for my novel The Scribe of the Soul, which should be available from amazon on Kindle and in book form in a fortnight's time, published by The Conrad Press. Its protagonist is Herpyllis, a woman for whom Aristotle made generous provision in his will but about whom nothing else is known. In my novel, her life is shaped and marked by him and by his famous pupil, Alexander the Great. 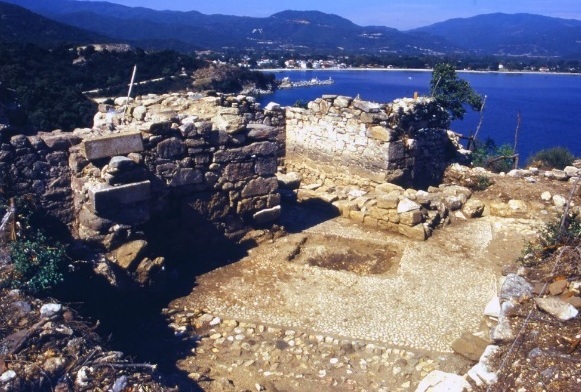 As for where the great philosopher ended up, I finally plumped for his ashes having been buried in Stagira in a fine building called the Aristoteleion, which replaced the stoa where the magistrates met - not where Kostas Sismanidis claims to have discovered it. I don't suppose we will ever know the truth of it. It's not even the 2,400th anniversary year of Aristotle's birth, either. That will be in 2017, because there was no year 0. The year 1 BCE was the 383rd anniversary, the year 1 CE was the 384th, the year 16 CE was therefore the 399th, and the year 2016 CE is the 2,399th anniversary year. Do you happen to know if Charles Waldstein's claim has ever been substantiated or refuted? Prof Premraj Pushpakaran writes--- 2016 is the 2400th birth anniversary of Greek philosopher, Aristotle!! !